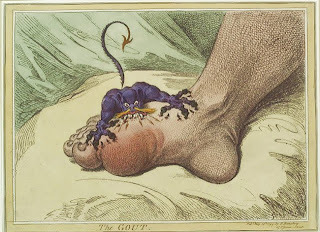 The reality is that gout is an incredibly painful condition and, in today’s lazy junk food-laden society, it is on the rise. Gout is a type of arthritis (inflammation of the joints) which is caused by high levels of uric acid in the blood. The main joint affected is the metatarsal-phalangeal one at the base of the big toe, and in this instance the disease is also called Podagra. 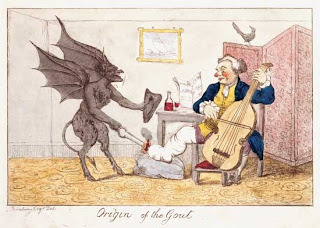 As well as this arthritis, (remember ‘arthro’ means JOINT which is why arthropods are jointed creatures like arachnids and crustaceans, and anything ending in ‘-itis’ is INFLAMMATION: appendicitis, colitis, tonsilitis etc) Gout will also present as tophi, renal calculi and renal insufficiency. Tophi and calculi are both types of ‘stones’ created in the organs and joints by these uric acid deposits (you can see them above in the 'advanced gout' picture. 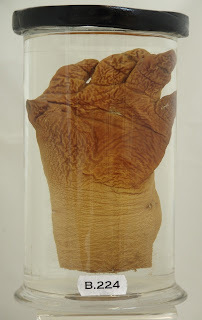 We have many examples of them here in the Pathology Museum. In fact, the first specimens ever introduced to Barts Medical school museum were urinary calculi or bladder stones. Renal insufficiency is poor kidney function, caused by the placement of these stones. 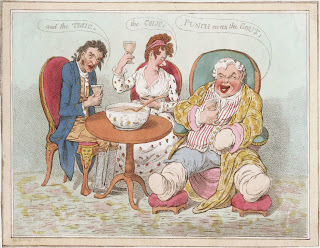 Various other co-morbidities exist alongside Gout such as hypertension, diabetes and obesity. This list tells me straight away that Gout is usually caused by bad diet and lack of exercise, so you can see why it was labelled a silly disease that the rich brought on themselves. However, our diet nowadays is very rich in comparison to theirs and this is why gout is becoming increasingly common. The rates in the UK doubled between 1990-2010. 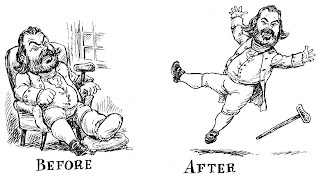 Men are six times more likely to suffer from it than women and it particularly affects those whose diets are rich in purines (natural substances which are metabolised into uric acid). The foods with the highest purine levels are anchovies, brains, kidneys, liver, sweetbreads and sardines. I have to say, I would reject any of those things from my daily menu anyway so I feel quite safe! 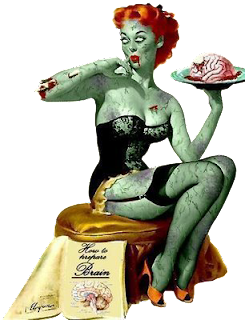 Incidentally, has anybody made a movie yet about the blight of gout amongst zombies because surely they are at high risk?! There are also high levels in bacon, beef, lobster, salmon, tuna, turkey and even legumes such as kidney beans and lentils – so even vegetarians aren’t safe (for once!) The consumption of alcohol and fructose-sweetened drinks is also responsible for the increase, as well as not drinking enough water. It makes you look at your steak, chips & beer in a different way, doesn’t it? The good news (for fellow caffeine addicts) is coffee helps protect against gout, as do cherries both sour and sweet. As with all things, balance is key. Stick to a healthy diet 80% of the time and there’s no reason you can’t treat yourself 20% of the time. To me, the above sounds like a great excuse for a latte and a piece of Black Forest Gateau! And remember to stay active. Leading a sedentary lifestyle is one of the major causes of the comorbidities associated with gout, such as high blood pressure. 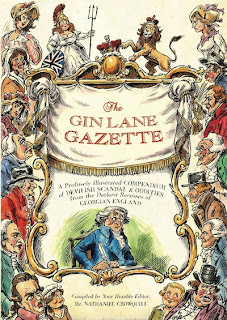 If you're a fan of the caricatures by James Gillray at the top of this post, then do check out the work of modern satirical cartoonist Adrian Teal. 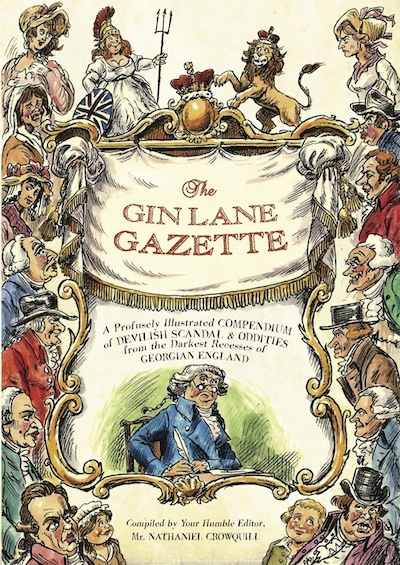 He is the illustrator of the Q.I annuals and will be chatting about his fictional Georgian 'newspaper' The Gin Lane Gazette at our final, gin soaked seminar here in the Pathology Museum in December. 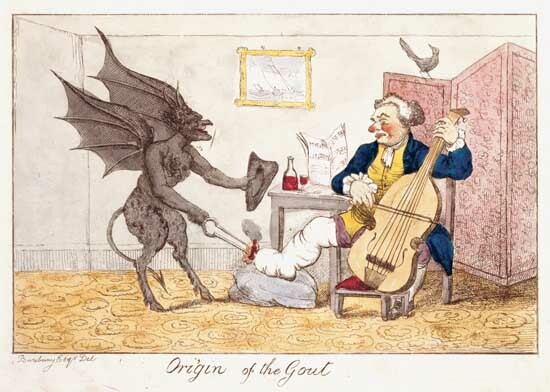 He did the above cartoon of a gouty gent appearing in an advert for a gout remedy called 'Dr. 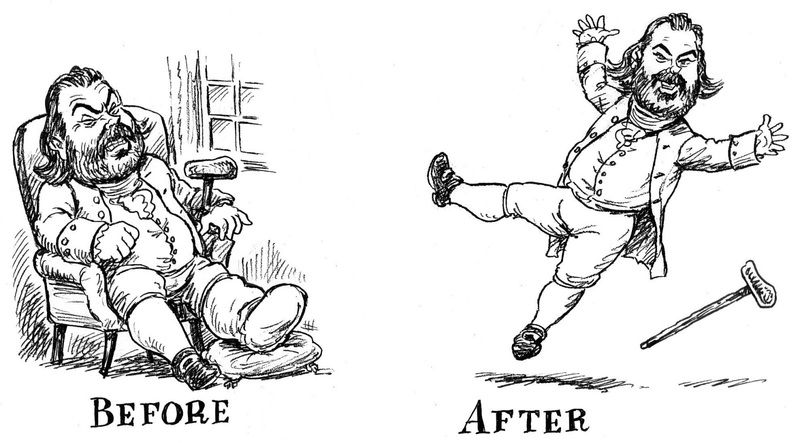 Blenkensop’s Bilious Specific.' The bearded man is none other than Q.I's head of research John Mitchinson who actually suffers from gout!